A question you always get asked in hospitals is whether you're allergic to any medications. I've always said "No", but I'm starting to suspect I've been wrong all this time. See I don't turn blue or gasp for breath, so I've never considered it an allergic reaction. But I'm beginning to believe it might be. What happens is I seem to lose the executive functions of my brain, this being a term I heard for the first time this week, when one of the doctors said "You seem to have lost the executive functions of your brain." Then he asked if someone could come and take me off his hands and seemed upset when I told him no. "Well you can't hang around here all day," he said. "Beat it." I looked the term up later and found that executive functions are high-level brain activities that allow us to form plans, process information, regulate behaviour, make choices, solve problems and generally adjust to the changing demands of a complex and complicated world. And if that last phrase strikes you as tautology it is not. A complex system is much more challenging than one that is only complicated. A good example of each, as this nice blog post illustrates, is raising a child and sending a rocket to the moon. Virtually all economists and politicians imagine complex systems are merely complicated, which is why we're all doomed. The folk with their fingers on the levers of power haven't a clue how the machine works. Sorry guys. Seem to have lapsed into seriousness for a second. So anyway, if you lose all those executive functions, you can still walk and talk, though not at the same time. You can drive, though maybe you shouldn't. You can mow the lawn and feed the birds. What you can't do is decide which of those options, or a hundred others, you should be doing at any given moment. You can't make sensible choices. You can barely make any. Life becomes a kaleidoscope of choices, a multicoloured quantum superposition of possibilities. If you go shopping while under the influence, as I often do, it takes you three days to get out of the store. You float and glide and waft and wander. It's a weird feeling and I'm sure you're wondering by now what causes it. Well I'm glad you asked. Antibiotics and anaesthetics. They're the worst. Then there's antihistamines and a fair number of analgesics. Basically anything that starts with the letter "a". 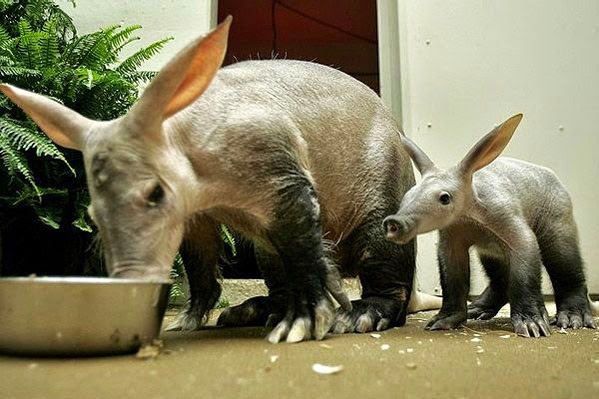 So if I ate an aardvark I'd be in big trouble. Not that I ever would eat an aardvark, because a) I'm a vegetarian and b) you can't buy one down the Spar shop. At this point my Latin teacher, if he were here, would tell me to stop talking drivel again. But I can't. Why? Because I'm on a course of antibiotics and am trying to write about the effect antibiotics have on my brain while antibiotics are having that effect on my brain. Like Holden Caulfield and Huckleberry Finn, I have become that most frustrating of all literary devices, the unreliable narrator. What's that? You don't believe a word I'm saying? It is all true. Honest it is.